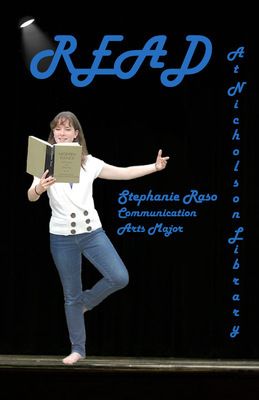 Stephanie Raso, Linfield student, class of 2013, reading Modern Dance: Techniques and Teaching, by Gertrude Shurr and Rachael Dunaven Yocom. Terry, Paula and Nicholson Library Staff, "Stephanie Raso READ Poster" (2012). READ Poster Gallery. Image. Submission 96.